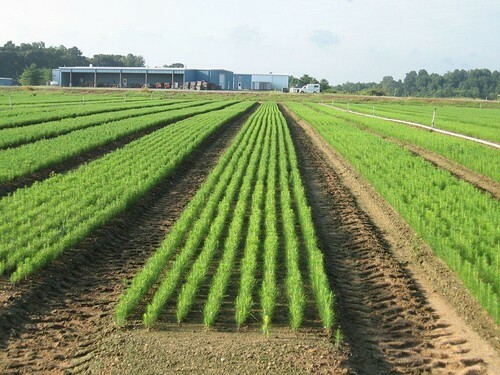 The Maryland Department of Natural Resources is offering free tree seedlings to help improve water quality in targeted Eastern Shore communities. Kent and Queen Anne’s County landowners who have a creek, drainage ditch, stream or other waterway on or near their property are eligible for free tree seedlings through the department’s Backyard Buffer program. Trees planted along waterways help improve water quality by absorbing excess nutrients, reducing sediment, lowering water temperatures and stabilizing stream banks. Each “buffer in a bag” contains 25 bare-root, native tree seedlings suited for planting in moist soil conditions. The bundle will include five eastern redbud, five bald cypress, five river birch, five spicebush, and five willow oak. Loblolly pine will be bagged separately in quantities of 10 per bag. All seedlings are 1 year old and about 8 to 10 inches tall. Maryland Forest Service staff will provide information on tree growing, planting techniques, tips and other good native species choices at the time of pick up. Tree protection tubes will again be available for purchase on orders in both counties through the Queen Anne’s County Forestry Board. The tree shelters will include a 4-foot tube, bird net, wooden stake and zip ties. Orders must be received by March 21; pickup is in early April. Quantities are limited so reservations will be on a first-come, first-served basis. Additionally, landowners can sign up for a free tree buffer workshop that will take place on April 2 from 5 p.m. to 6:45 p.m at the Price Community Center, 121 Rabbit Hill Road in Church Hill. Interested landowners should call 410-819-4120 or email Brittany Haas at brittany.haas@maryland.gov to reserve their seedlings or register for the workshop.